Hardline Iranian cleric Ahmad Khatami threatens to destroy Israeli cities if Israel acts "foolishly". A senior Iranian cleric threatened on Friday to destroy Tel Aviv and Haifa if Israel acts “foolishly”. 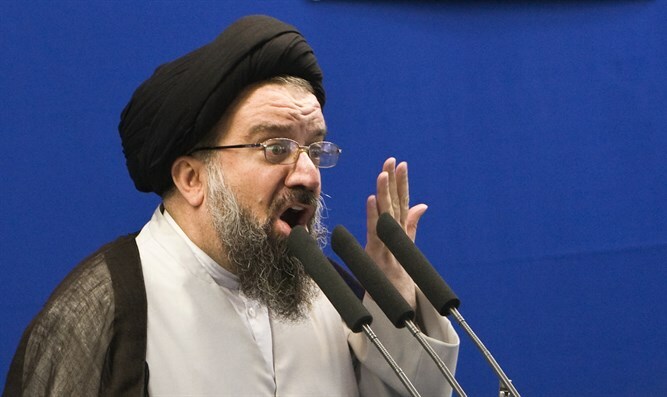 “We will expand our missile capabilities despite western pressure (to curb it) .... to let Israel know that if it acts foolishly, Tel Aviv and Haifa will be totally destroyed,” hardline cleric Ahmad Khatami said during Friday prayers at Tehran University, according to Reuters. The comments come amid increased tensions between Israel and Iran. Israel attacked Iranian targets in Syria overnight Wednesday, after Iran’s Quds Force fired a barrage of 20 missiles towards Israeli posts in the Golan Heights. Russia’s defense ministry said earlier on Thursday that Israel's strikes on Syria saw 28 planes take part in raids with a total of around 60 missiles fired. The Iranian rocket attack on Israel which preceded Israel’s retaliation was widely condemned around the world. Khatami’s threats follow comments by Alaeddin Boroujerdi, chairman of Iran's parliamentary committee on foreign affairs. "Israel has entered a dangerous game," Boroujerdi said during a visit to the Portuguese capital Lisbon. Khatami has in the past urged Palestinian Arabs to "rage" against Israel after Trump declared Jerusalem as the capital of the Jewish state. In another case, he threatened to “shatter the teeth” of Iran’s regional rival, Saudi Arabia.